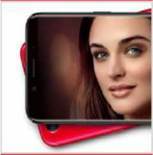 Amid a star-studded event sometime in Q4 last year, OPPO unveiled the latest star in its selfie-centric smartphone lineup, the OPPO F5. Available in black and rose colors, the F5 also arrived in a limited edition model dubbed as the F5 6GB Red which is the subject of this review. 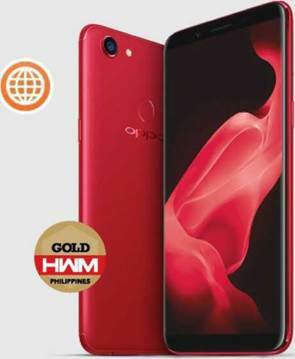 As its moniker suggests, one of the key features of the oPPo F5 6Gb red is its ample memory size of 6GB, plus 64GB onboard storage, doubling the Ram and Rom capacity of the regular F5 variant. The 6GB memory count on the F5 6GB red is meant to boost smartphone performance when running multiple apps or playing mobile games. Clad in a striking red metallic unibody, the F5 6GB red shares similarities with the regular F5 model. Both versions come with a 6-inch FHD+ (2160 x 1880) touchscreen with 18:9 screen ratio, following the trend among today’s smartphones. Bright and brilliant, the screen looks pleasing to the eyes, and remains reasonably legible even in broad daylight. Being a Selfie Expert has always been oPPo’s battle cry since the launch of the F1 series. Continuing its campaign and cementing the reputation it has built, OPPO is stepping up its selfie game by adding artificial intelligence (AI) to its camera system. Dubbed as A.I. Beautification Technology, the beautification effect generated by the F5 6GB red’s camera adapts to the user’s face attributes by utilizing its 200 facial recognition points, resulting in natural-looking selfies. OPPO’s beautification feature is also capable of recognizing the subject’s age, gender, and skin tone. Putting the phone’s 20-megapixel front camera to the test, we got desirable results which you can see on the Feature section of this issue (turn to page 60-66). A.I. Beautification Technology also works well when taking group portrait shots. Equally capable, F5 6GB red’s 16-megapixel main camera gave us shots that are comparable to those outputted by the likes of the Huawei nova 2i and the Samsung Galaxy J7 Pro. Even under low lighting conditions, outputs are vibrant and image noise is kept at bay. Zoomed in images are sharp as well. Beating at the heart of the F5 6GB red is a MediaTek Helio P23 octa-core chip coupled with Mali-G71MP2 GPu. Yielding an AnTuTu score of 69794, the F5 6GB Red finds itself between the ASUS ZenFone 3 Zoom (62824) and the OPPO F3 Plus (93076). Carrying a 3200mAh built-in battery, F5 6GB Red lasted up to more than eight hours. Taking into account the extras given bestowed upon the F5 6GB Red, it is more expensive than a regular F5, with a price of PhP 21,990. The 20-megapixel front camera is backed by oppo’s A.i. Beautification Technology.